Grosvenor Casinos was first established in 1970 and remains one of the biggest casino chains in the UK. In response to the technological changes that have impacted the gambling industry since the brand opened its first venue, Grosvenor has expanded onto several other platforms including online games, mobile casinos, and live casinos. Given this wealth of experience, there are few firms better placed to offer an e-Gaming service that mimics 'real' casino play. Grosvenor's live offering has been powered by industry experts Evolution Gaming since 2013. Given that Evolution has won 'Live Casino Supplier of the Year' six times in a row at the eGaming Review B2B awards, it's not hard to why Grosvenor's product is so popular. The desktop version of Grosvenor Live Casino is available on both PC and Mac. It works by broadcasting a live stream through users' internet browsers, so there's no need to download and install any additional software. The company also offers a slimmed-down live casino that can be accessed on smartphones and tablets: this HTML5-based service can be run via mobile browsers like its desktop counterpart, but is also available from the Apple Store as a convenient app. While the speed of any live offering ultimately depends on players' internet connections and video card specs, Grosvenor holds up its end of the bargain by using HD quality cameras that make the whole experience as realistic as possible. In the case of any issues, the casino also offers gamers a dedicated helpline and live online chat function. Players can choose between viewing a full screen version of the live feed or splitting this visual with a computer-generated version of the game. The service lets users monitor their progress by opening a stats window, and gamers can also see what their fellow punters are up to via a live flow of text updates on the left-hand side of the screen. Although the feed is available across most of Europe since it's transmitted from Latvia, Grosvenor's live casino is only available in English – understandable given the company's UK roots. The Live Casino offers a full suite of games that are available on a 24-hour basis, including classics like Blackjack, Baccarat, and Roulette. Most of these games come in 'standard' and 'VIP' formats; while there's not a great deal of difference between these formats, the version in use dictates the minimum and maximum bets that players are allowed to make. There are a range of tables available for some games: colours correspond to stakes, so players wishing to wager big bucks should seek out the luxurious gold tables. There are several variations of each game format: players can pick 'French' or 'Slingshot' Roulette, and can also try their hand at 'Blackjack Party'. No casino would be complete without Poker, and Grosvenor's selection fits the bill nicely: there's 3 Card and Hold’em options that'll please newcomers and seasoned vets alike. The mobile casino offers an experience similar to that found in the main live version, but features only four broadcasts: Blackjack, Roulette, Baccarat, and Hold’em. These games have been optimised for mobile devices, which means that some of the casino's interactive features have been stripped back to allow weaker processors to cope with the demands of a HD live feed. Players looking to pick up a quick £20 free will enjoy the generous, no-strings-attached Welcome Bonus online players enjoying Grosvenor Live Casino for the first time are awarded. Players at Grosvenor Live Casino can make transactions using Visa, Maestro, and Mastercard. The outfit also accepts payments through a range of e-wallet services, including Skrill, Neteller, and Ukash. 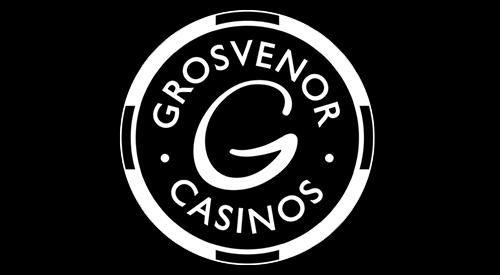 Since Grosvenor is a partly land-based company, players in the UK can top-up their account at any of the 56 casinos in the UK. The casino accepts deposits in euros, US, Singapore, Canadian and Australian dollars and Japanese yen, so English-speaking players from around the world can wager on the live offering. Players who decide to bet on a Grosvenor product can do so in the knowledge that the firm is registered with the UK Gambling Commission and the Alderney Gambling Control Commission. Given that both these bodies have a good reputation for enforcing testing and fairness standards, Grosvenor players can game on in confidence. Grosvenor has long succeeded in the world of brick-and-mortar gambling so it comes as no surprise they have excelled in providing that same 'real-life' experience to the online gambling industry.